Located in South East England, Kent is perhaps the quintessential English county. As well as being home to the Archbishop of Canterbury, Kent also boasts a number of beautiful sights and tourist attractions. Visitors to the area will delight in Leeds Castle, the White Cliffs of Dover, and Howletts Wild Animal Park. South Darenth in Kent also hosts an annual British Wrestlers Reunion, so there really is something for everybody. However, Kendo Nagasaki is far from the scariest thing about this place. Kent is also said to be home to hundreds of ghosts and other paranormal entities, and the supposedly haunted locations in the area are plentiful and well-documented. 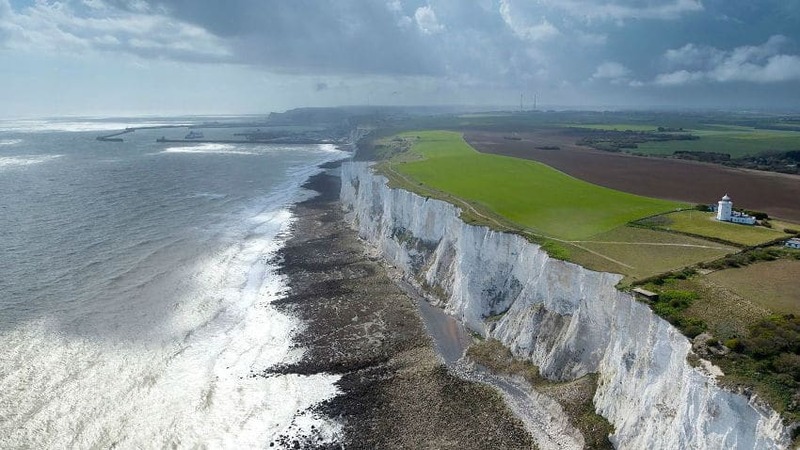 In this article, we’re going to be taking a look at the particularly terrifying places in Kent that you will simultaneously want to visit and avoid forever. Here are five of the most haunted places in Kent. Like so many other haunted locations around the United Kingdom, Bilsington Priory was originally a monastery, and was founded in the early 13th Century by Sir John Mansell. Mansell’s monastery later became home to the Black Cannons of St. Augustine’s order and fell into the hands of some drug smugglers several hundred years later. Obviously, there has been much good at this priory, but it was also the sight of many morally questionable deeds, which may account for the tempestuous relationship between this world and the unseen world which exists in the area. Bilsington Priory is believed to be home to a number of otherworldly creatures, and paranormal activity has been reported at the site for centuries. One of the most infamous eerie occurrences concerns an order of ghostly monks, which has been seen by numerous visitors to the priory. Back in the 1930s, it is said that a young woman visited the priory with her husband when it was being used as a farmhouse. While her husband was meeting with the woman of the house, the young bride bided her time in one of the home’s many rooms. After some time had passed without event, her dog suddenly became agitated and began to whimper, as animal’s are known to do when there is a paranormal presence in the room. To the woman’s amazement, the aforementioned order of phantom monks then appeared in the room, seemingly unaware of her presence. Without acknowledging the woman, the monks crossed the floor, ascended a staircase, and disappeared from sight. Once her husband and the farmer’s wife returned to the room, the young woman frantically tried to explain what she had seen. While her husband was just as shocked as she was, the farmer’s wife laughed it off and informed them that the apparition of the monks was a daily occurrence and was nothing to worry about. Nowadays, Bilsington Priory is much in demand as a wedding location, as its pristine grounds and scenic surroundings make it perfect for anybody who wants to have that storybook wedding. Being married at the priory may also be a good way to save some money on a priest, as you can just have one of the ghostly monks do it for you. Located in Maidstone, Kent, Mote Park is a public park which is extremely popular among both locals and tourists. The park was converted from a country estate about 300 years ago but Mote House, the park’s stately home, was left untouched. Unfortunately, the respect shown to the manor has done little to alleviate paranormal activity at the park, and visitors have been reporting ghostly encounters for many years now. Perhaps the most notorious ghost of the park is that of a little girl, which has been witnessed by dozens of park goers. One woman who lives near Mote Park has recalled taking a shortcut through the park while travelling home late one night. Passing a gathering of trees, the woman noticed a cloud of white light illuminating the darkness. After taking a moment to examine the mysterious light, the woman noticed that it was beginning to take the shape of a little girl. This is similar to the encounters with a ghost girl which other visitors of Mote Park have reported, but it is unclear just who the girl might have been during her life. 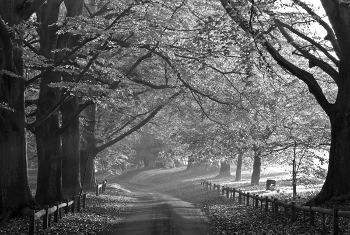 During World War Two, a Canadian soldier claimed to have encountered the ghost of a monk at Mote Park. According to the soldier, the monk was dressed in grey and was paying little attention to what was going on around him, similar to the order of phantom monks reported at Bilsington Priory. The soldier explained that he knew, somehow, that the monk meant him no harm, but the sighting still must have been pretty unnerving. Hever Castle is one of Kent’s great historical sites. Built towards the end of the 1200s, the castle was home to Henry Bullen, a merchant whose son would change the family surname to Boleyn. 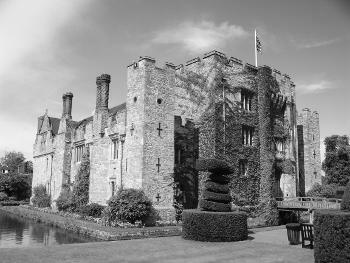 The inaugural Boleyn went on to marry the daughter of the Duke of Norfolk, and the couple set about filling up Hever Castle with their offspring. It was the couple’s daughter, Anne, who would have the greatest impact on the history books, and her marriage to King Henry VIII remains a point of interest for many historians and history buffs. Most people are aware that Anne Boleyn was beheaded in 1536 after her husband grew tired of her, but few are familiar with the stories of her ghost haunting the place of her birth. It is said that after her death, the spirit of Anne Boleyn returned to Hever Castle to spend eternity at the site of some of her happiest memories. Anne’s ghost has been seen by numerous visitors to the castle, usually wandering the grounds or passing the time by the nearby River Eden. Despite the fact her experiences in life more than justify her being a little ticked off in the afterlife, Anne’s ghost does not appear to be malevolent and rarely interacts with those who come across her. Sightings of the former Queen of England are most frequent during the Christmas season, and her ghost is said to be particularly active on Christmas Eve. The ghost of Anne Boleyn haunts these locations too! 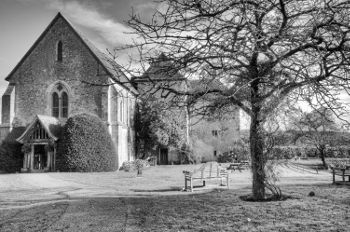 Not only is Kent home to a number of haunted buildings, it also boasts (though that may not be the right word) what is considered by many to be the most haunted village in the United Kingdom, if not the world. 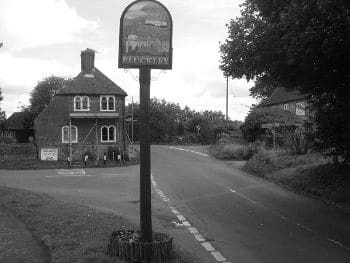 Pluckley is a picturesque but rural village in Kent which has a population of about 1000 people. If you count the spirits and phantoms which are said to lurk in every corner of the town like some sort of demonic Pokemon Go, however, that number rises dramatically. Among the many haunted locations in the village is Dicky Buss’ Lane. It is here that multiple residents and tourists have encountered the horrific apparition of a schoolmaster hanging from a tree. It is said that it was at Dicky Buss’s Lane that a schoolmaster took his own life by hanging himself shortly after World War One. His lifeless body remained dangling until it was discovered weeks after he was reported missing. A phantom highwayman – perhaps the most British kind of ghost there is – has been reported at the appropriately named Fright Lane. According to legend, the highwayman became involved in a battle at Fright Lane and met his end after his opponent pushed a sword so deep into his body that it came out the other end and pinned him to a tree. Pluckley residents have frequently reported witnessing a horse drawn cart moving through the streets, accompanied by the thunderous sound of hooves on cobblestones. The mysterious apparition has been spotted all around the village, but is most frequently seen at Maltman’s Hill. These are just a few of the manifestations which can be found at Pluckley Village. Anybody who wants to fully experience the paranormal activity said to go on in the area should visit Pluckley for themselves; but be warned, it might prove overwhelming for even the most experienced of paranormal investigators. The role 12th Century Dover Castle has played in the history of the United Kingdom cannot be understated. Throughout the centuries, it has protected Britain from a number of formidable forces, including the army of Napoleon Bonaparte. During World War Two, it was used as a command centre and was frequently visited by former British Prime Minister Winston Churchill. 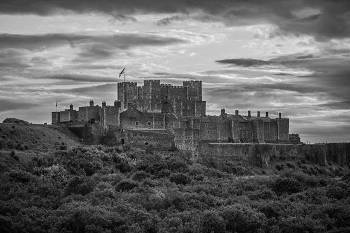 Dover Castle has been so crucial in Britain’s various battles that it has been dubbed the ‘Key to England’. It only makes sense, then, that the castle be home to some pretty powerful paranormal forces. A number of visitors have encountered the terrifying spirit of a headless drummer boy, who is believed to have been decapitated during a robbery at the castle several hundred years ago. The boy is seen moving throughout Dover Castle carrying not his head, but his drum, which he bangs on incessantly. There are several underground tunnels beneath the castle which proved useful during the Second World War. It is in these tunnels that the spirits of British soldiers appear, often times screaming in pain or crying for the life they knew before the war. Haunted Rooms has held a number of overnight ghost hunts at Dover Castle in the past and we will likely be doing so again, so anybody who wants to search the castle for themselves should be sure to keep checking our Events page for updates.